Yes it is that time of the year again. I have decided that my age is "ageless" in case anyone asks. I am going to lunch with my son's family and because it is Sunday, the regular routine of taking supper to my Dad is on the schedule. He doesn't deal well with a break in his routine. He gets confused easily. I finished the last batch of blocks for the Winding Ways quilt. I didn't put them up on the design wall yet. The one on the bottom right is the lowest contrast in values of all of the blocks. I wanted some with high constrast and some with low contrast. That way there will be a lot of movement to the design in addition to the circles. Happy Birthday and many more ! 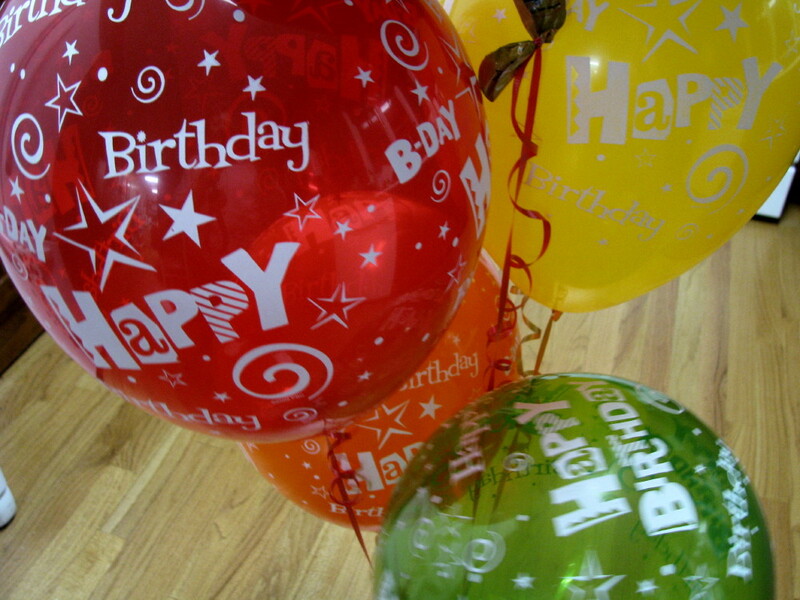 Happy, happy birthday, Wanda, and many, many happy returns of the day!! I hope you have a wonderful day! Happy Birthday!! Enjoy your special day Wanda. It is nice to share it with family. Happy Birthday! Have a great time with your family. HAPPY BIRTHDAY WANDA! Have a wonderful day and enjoy your family. Happy birthday Wanda, Hope you have a lovely day and year ahead! Happy birthday, from another "ageless" person. Enjoy it. Happy Birthday Wanda! Enjoy your day with your family. Your blocks look terrific. Happy birthday to you... happy birthday to you... Happy Birthday dear Wanda... happy birthday to you! Enjoy your special day and many more! Happy Birthday , Wanda ! 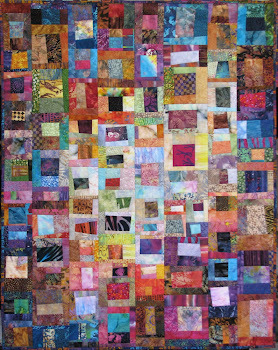 Have a great day and many, many more Happy quilting days ! Happy brithday. I like your "ageless" philosophy. Mind if I adopt it as well? can you hear me singing, dear Wanda? That's the sound - off key and slightly terrible, but totally exuberant and aimed at the Exuberant B-day Woman! Many happy returns of your day! Happy Birthday Wanda. May you have a wonderful day with family and friends and wishing you all the very best for the coming year. The winding way blocks look fabulous! I like the comment made by an author (Madeleine L'Engle) in one of her books on writing. ""I am still every age that I have been." Have a Happy Day filled with joy. Happy Birthday! Enjoy the day with your family! 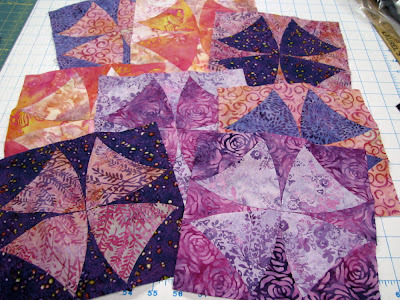 Love the winding ways too, this will be one gorgeous quilt. happy birthday! have a fun day. Happy Birthday! Spending it with family sounds wonderful. Enjoy! Happy Birthday Wanda! Enjoy the day with your family. Love the winding ways, this will be one gorgeous quilt. Happy Birthday! Enjoy each day. May you have health and serenity through out the coming year. You brighten the day of many unknown readers. You are my daily dose of exuberance. Happy birthday Wanda, you make me think of my Mum, she always said she was as old as her tongue and a little older than her teeth. The older she got the more people asked. Why is that? Do people think you'd be happier to tell them when the number is higher. May there be much exuberance! Happy Birthday to You! Hope you have a great day today & awonderful year ahead! Your winding ways blocks look great! С Днем Рождения, Ванда! Самый лучший День рождения - это в кругу семьи. Поздравляю! Happy Birthday! Have a wonderful day celebrating with your family. Have a wonderful birthday with your family. Have a wonderful celebration. Eats lots of cake! I'm that 3th grade age that Gene talked about. You have a glorious sunny (so far) day to celebrate - have a lot of FUN. That's an order. Happy Birthday Wanda, I hope you have a great day! Happy birthday, Wanda. It will be a fun day. Happy Birthday! I want to tell you how much I enjoy your blog. I look forward to reading it daily. Hope your day is wonderful!! Your blocks are looking great! Happy Birthday! I just love the colors in those blocks...totally my colors. Happy birthday!! Your quilt will be beautiful. I like the variance in contast too. Happy Birthday Wanda! Hope you have a great day! Happy Birthday, Wanda....from one Scorpio to another ! A big, wonderful Happy Birthday to you!! Hope your day has been fine!!! Happy Birthday!! I hope you have a wonderful day. Happy birthday to you - we share the day. Love your winding ways. Happy Birthday Wanda!! 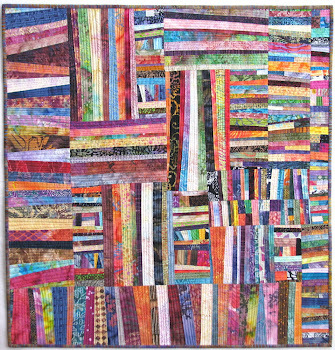 Thanks for sharing all your quilty inspiration! Happy birthday, Wanda ! I hope you had a wonderful day ! I'm sneaking in before the end of your official day -- I hope your birthday was a special day for you, as relaxing as you may have wanted. The WW blocks are lookin' good! Hope that you have a fantastic birthday Wanda- I appreciate you sharing all your beautiful pieces- They are bright and gorgeous to look at- I often come away inspired. May the next year be filled with good health, prosperity and the opportunity to quilt as often as you would like. Happy Birthday, Wanda, and many more. Love the Winding Ways. My grandson shares the same birthday with you. Happy belated Birthday! Sorry I missed it.